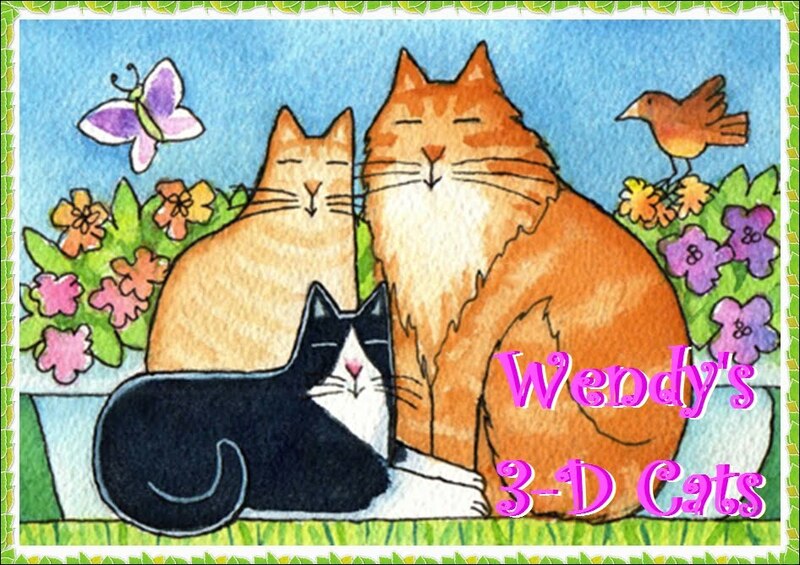 Wendy's 3-D Cats: 3-D JUNE-A-PURRS IN HATS! 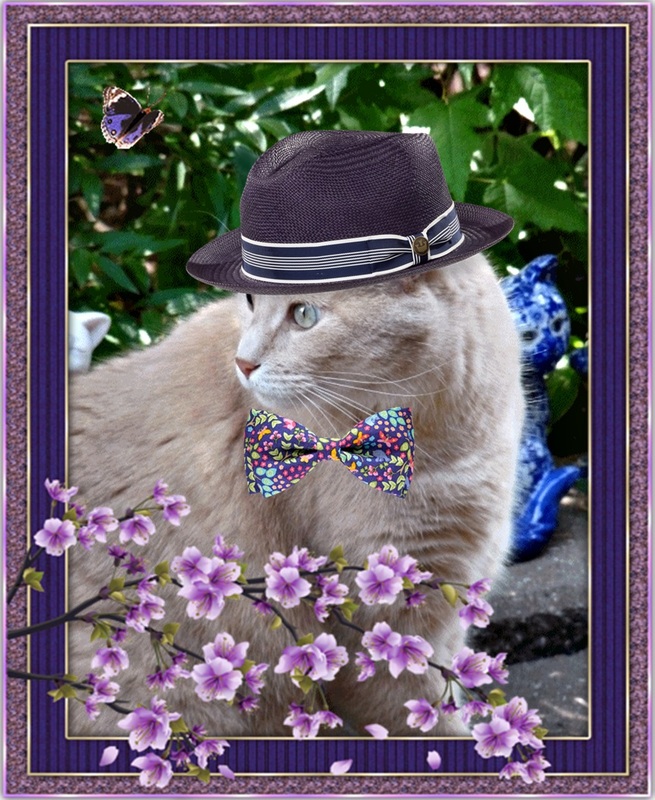 It's 'JUNE' and my 3-Ds are just full of 'PURRS' because they're wearing their beloved hats. Dylan is strikingly handsome in a deep purple straw hat with navy-and-white band and a multi-coloured floral purple bowtie. While he is distracted, a butterfly is attracted and thinks he's just another flower in the garden upon which it may alight. "Let there be alight!" says the butterfly. And so it did. Dante is just awesome in his brown striped fedora with pink-and-green floral band. He has coordinated this with a green and pink bowtie and his Longines watch. Watching him is what you may think is just another butterfly, but it's actually an elf with wings! 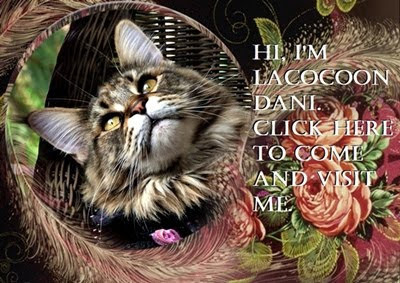 When it comes to making friends with Dante, she's just winging it. "Unlike Dante's watch, I am off-da-cuff." remarks she. 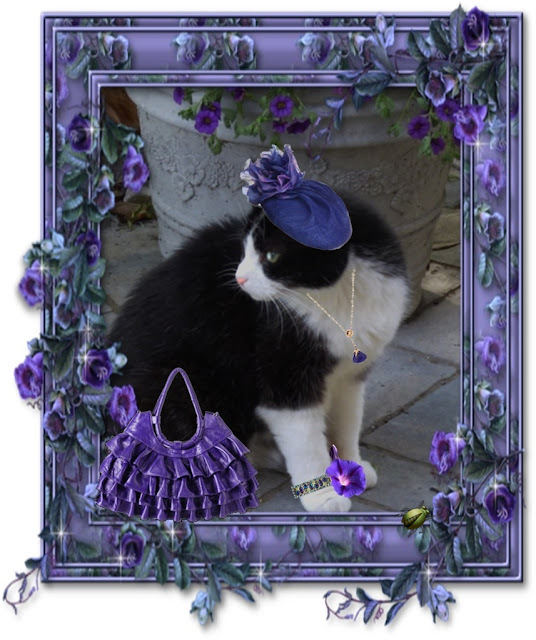 Domino is pretty in deep shades of purple from her fascinating fascinator, to her amethyst necklace and bracelet. Her handbag is purple leather ruffled in layers which gives it a feminine appeal. She has not noticed the June bug that is crawling nearby because her attention is elsewhere. It's such a cute and cheerful little thing. "I don't like ta bug anywun" says she. "I just wanna be me!" 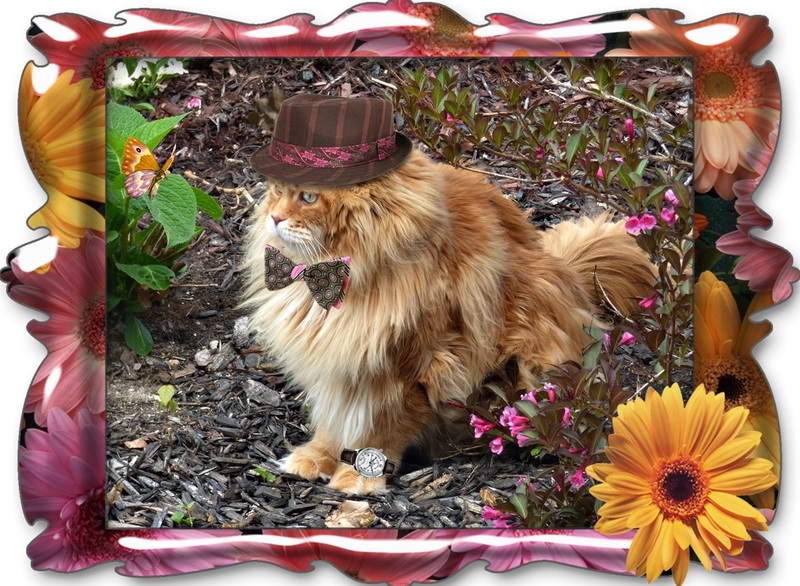 Your June Hats look so special! Everyone looks great. I especially like Domino's outfit.